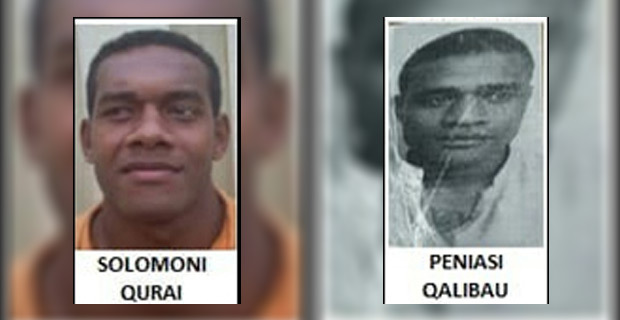 Two of the prisoners who escaped from the Naboro Maximum Security complex, Solomoni Qurai and Peniasi Qalibau have been discharged from the CWM Hospital. Police have confirmed that two were admitted due to injuries sustained while escaping from the prison and they will be questioned soon. Seven prisoners escaped from the Naboro Maximum Prison on the 24th of last month. The five who have been questioned include, Ulaiasi Qalomai, Mesulame Waqabaca, Bainivalu Tuimatavesi, Filipe Delana and Josaia Usumaki. Police say the five prisoners have been charged with a count each of with damaging property and escaping from lawful custody. Police Chief of Intelligence and Investigations, ACP Vakacegu Toduadua says a Court Production Order has been issued to the five prisoners yesterday and they will be produced in court on the 22nd of this month.